We spend the greatest time of our lives at home or at work. Nobody wants these places to be dreary and boring. Therefore, we need to design our habitats in such a way that they always affect our psychology in a positive way. If we have a gloomy house or workplace, we will be reflected in every situation in our daily life and become unhappy. The state of gloominess and depressing are the colors we choose in our living spaces. An intriguing decoration, completely color harmony comes from. Inspirational colors are the first rule of decoration that will instantly change the atmosphere. Red is always the color of energy and vitality. When color combinations are preferred with black, it reflects the noble. If you like calm places, it should be preferred in small areas such as cloth or accessories instead of wall color. If you prefer the red walls, you should prefer white furniture. Yellow is the color of the temperature and cheerfulness. It should be preferred with white as it will create a boring color. If the window is preferred in low or small environments, it will refresh the environment. If you prefer the yellow color, you should prefer dark furniture. 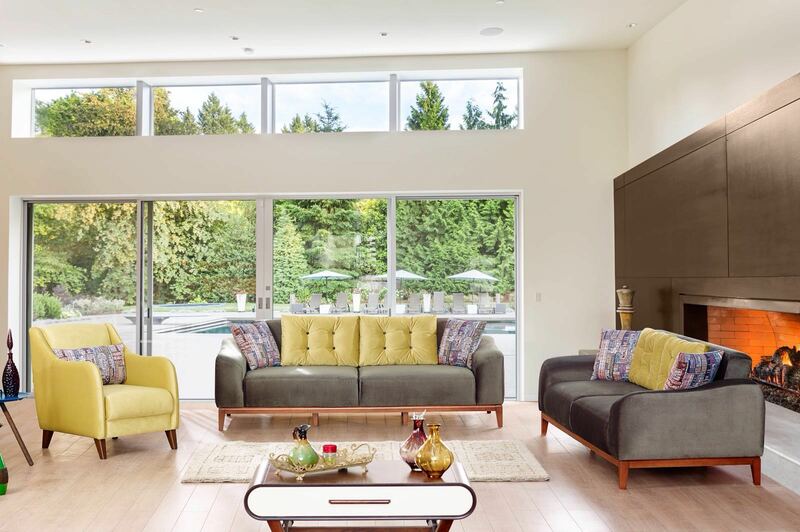 Yellow may be the starting point of decoration in areas you never expect. Green is the perfect way to calm the mood and give peace. Combined with contrasting colors you get a great fit. If you choose only one piece of furniture and choose the remaining areas as plain and one color, you get a quality image. Cream-beige is a neutral color, it is a savior. This color, which can adapt to everything, can be preferred mainly in the space. If you prefer cream-beige, you should prefer accessories and curtains as vivid colors.